You finally got a girlfriend. You spent countless hours improving yourself and what do you know, it finally paid off. And this girl isn't just any girl she's a keeper. So the question is, how do you keep her? 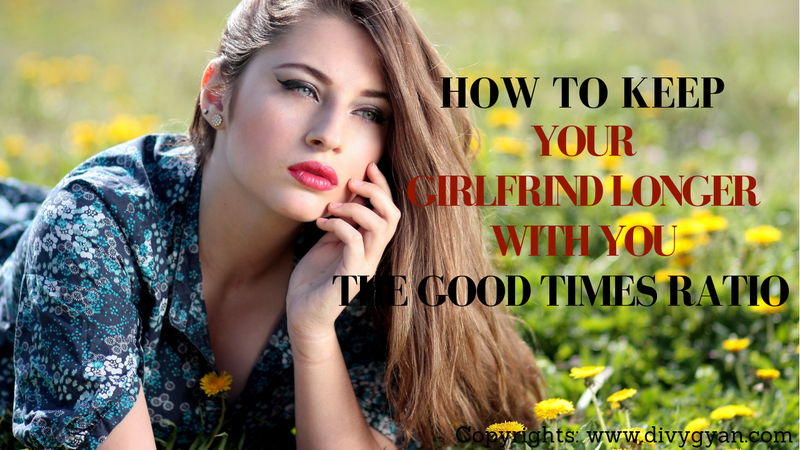 As it turns out there are actually, a few scientifically backed up tips that you can use to keep your girlfriend and these tips are just as effective if you've already had a girlfriend for a long time. And want to keep her around or even if you don't have one yet but plan to in the future. The first tip is to "Expect More". Many guys are told to, expect the worst when you get a girlfriend and though there will always be stormy dates. Basic psychology tells us that in most cases we get what we expect. This is called the confirmation bias and it states that we are always looking for information to confirm what we expect. So if you expect to have a bad relationship with a girl, you might just find that it actually comes true. Studies show that people who expect more, we really do get more. In other words, keep your standards high and if the girl who's with you doesn't fit these standards then you're probably with the wrong girl. Now the second tip is to celebrate the good times. When a guy in a girl split up, it is almost always cost by a huge decrease in positive feelings towards each other. In business and anything in life always celebrate every little win. Whenever there's good news no matter how trivial it may seem, celebrate with the girl that you're with. If she started dieting and she lost one pound, it may not seem like much to you but it's worth celebrating. If you just gave one extra rep on your bench press, celebrate. Because studies show that the fun and the joy from these small celebrations will keep your relationship strong and long-lasting. The third tip is to follow the sacred ratio of good times. Which states that for every one time that you fight or have a bad interaction with your girlfriend, you should have five good ones. As the ratio of negative experiences increases, you're significantly more likely to split up with your girlfriend. Obviously, you can't keep track of every single interaction but intuitively you'll be able to feel whether the good times are outweighing the bat. And when you feel things start to slip into the danger zone. Make sure to tip the scale back into the positive. Now the fourth and the final tip is to keep it exciting. If you've been with a girl for a while, think back to when you first met and the rush of good feelings that you had during this time. This is the time when you fell in love. So many people fall into the trap of not trying anymore and a lot of times we blame the other person for this and think to ourselves, if they're not going to try then I'm not going to either. Studies show that trying new exciting things with your girlfriend significantly strengthens your relationship. If you already go to the movies once a week that's great, but it's not always exciting. Always look for ways to shake up the system because that is how your relationship grows and it's also how you grow as a person. The key word here is exciting. So the activities need to be borderline scary or just really fun. For example, you could throw a large party with friends or maybe go ride some roller coasters. It is all about new experiences and doing things that are way different and thrilling than what you're both used to. You've already worked so hard to get a girlfriend and if you really like her it makes sense to do what is needed to keep her. According to the compound effect, many small decisions for a long period of time will have a dramatic effect on the final outcome. All of these tips are the little things and the sooner you start doing them the sooner you'll be able to reap the rewards and with that set until next time thanks for reading.